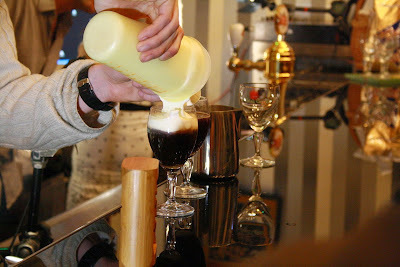 Irish Coffee is an alcoholic cocktail made ​​with Irish whiskey, hot, very hot coffee, brown sugar and cream. The standard and formal specifications of the components and proportions of Irish Coffee is defined by the IBA, the International Bartenders Association. My proposal has not Irish whiskey but Scottish. 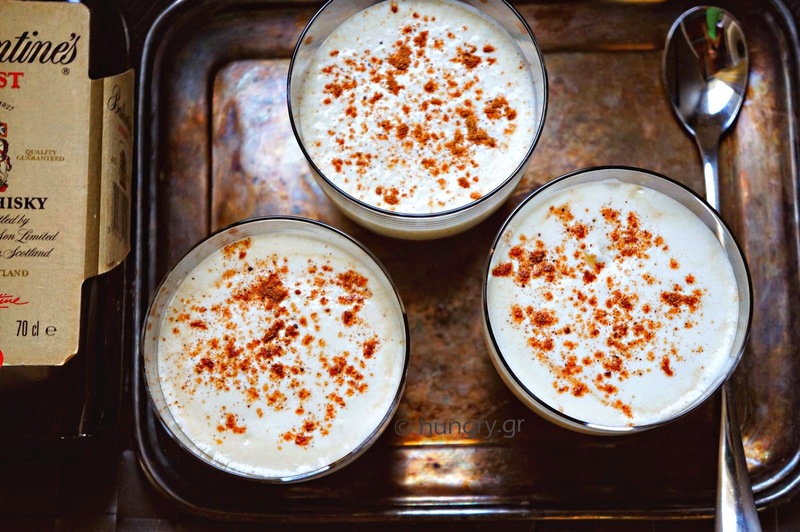 It has, however, a further "misconduct" light sprinkling of nutmeg cream, for tension in the aroma, as it will penetrated by the warm vapors of whiskey and coffee, and gets … better in the photograph! 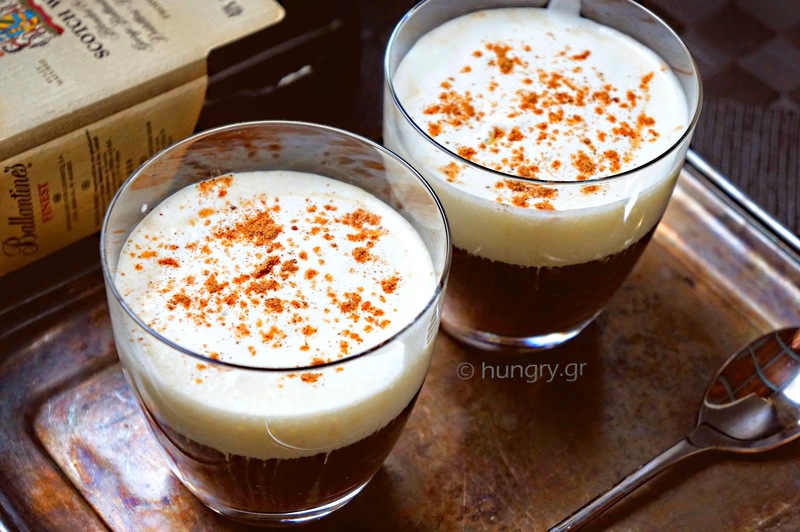 The Irish Coffee (in the Irish language: Caife Gaelach) is an alcoholic cocktail consisting of hot coffee, Irish whiskey and sugar (some recipes specify that it should be brown sugar used), stirred, and topped with a cocktail dose of sour cream. The coffee/ cocktail is drunk through the sour cream. 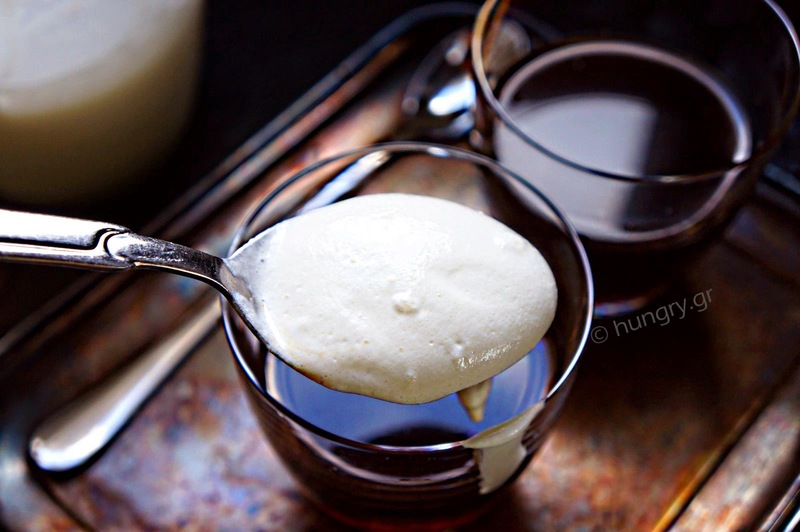 The original recipe explicitly uses sour cream, a thick cream, which has not yet been whipped, although often drinks are sold that are prepared by adding whipped cream as "Irish Coffee". 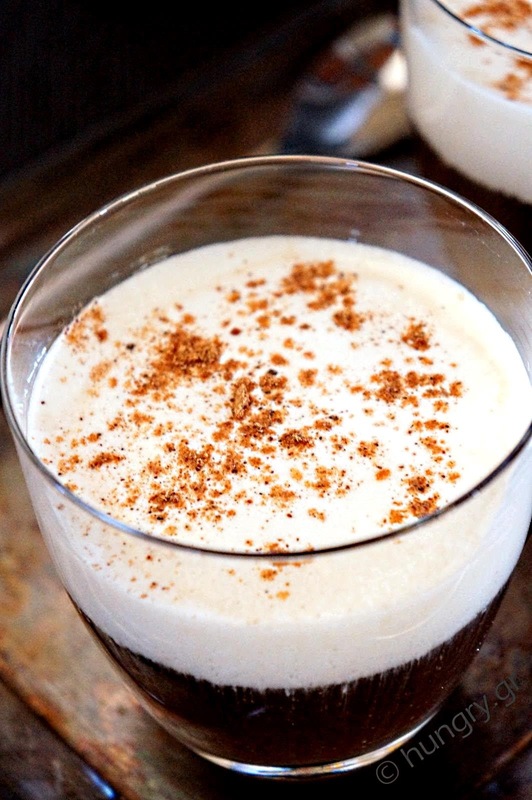 And of course for a hundred year recipe certainly there are variations of the original Irish Coffee. 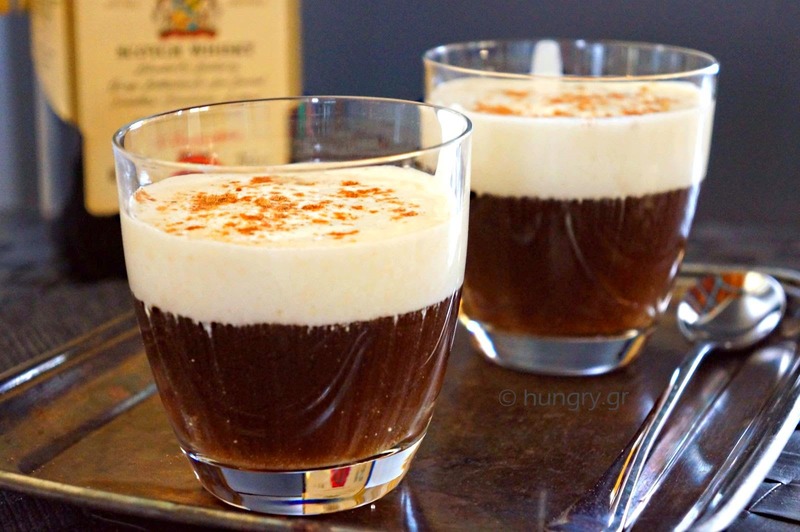 Although coffee and sour cream are the main ingredients in all Irish coffees, there are variations in the preparation and therefore the taste. The choice of the coffee and the methods used for its preparation, differ significantly. The use of modern espresso machines or fully automatic preparation of coffee, or some kind of coffee filter, or American coffee, or even a coffee capsule is a prime example of the diversity in coffee. 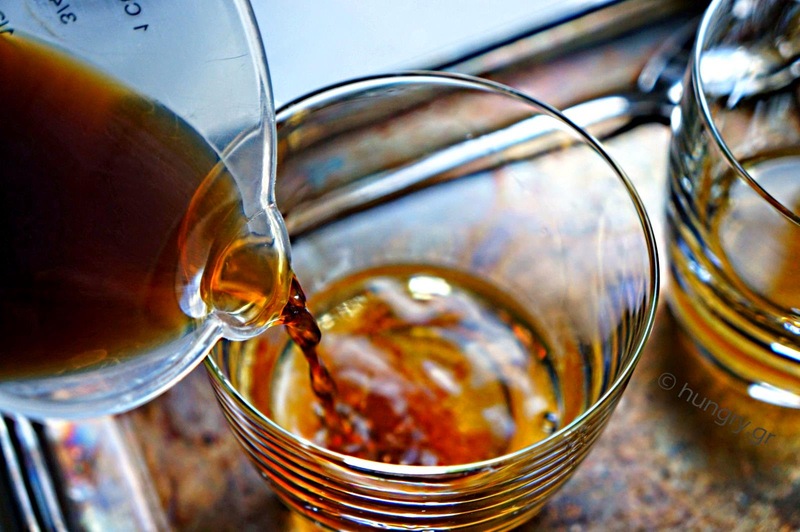 A subversive variant in Southeast Asia, where some bars serve their customers, by offering them a cocktail of iced coffee and whiskey, sometimes without cream, and call it «Irish Coffee». 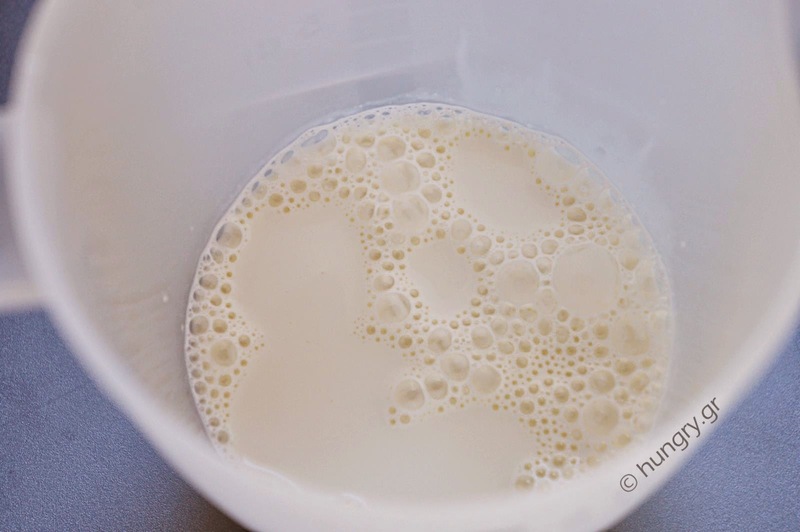 In a deep bowl, add the cream. 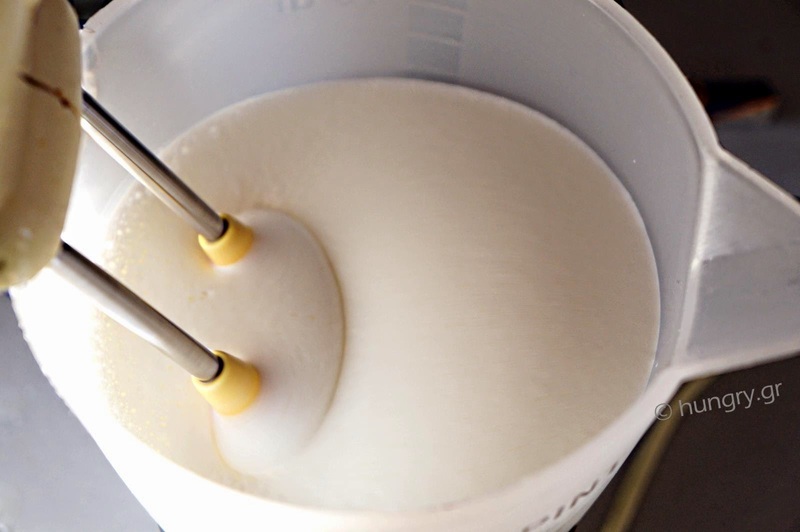 Beat it with a hand mixer until it swells and becomes a thick cream but not too thick and be whipped. 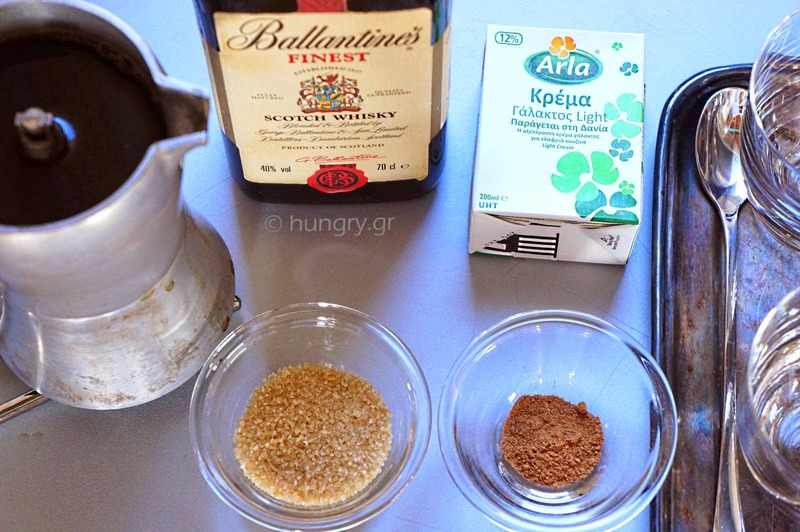 Inside each glass pour a teaspoon of brown sugar and whiskey. 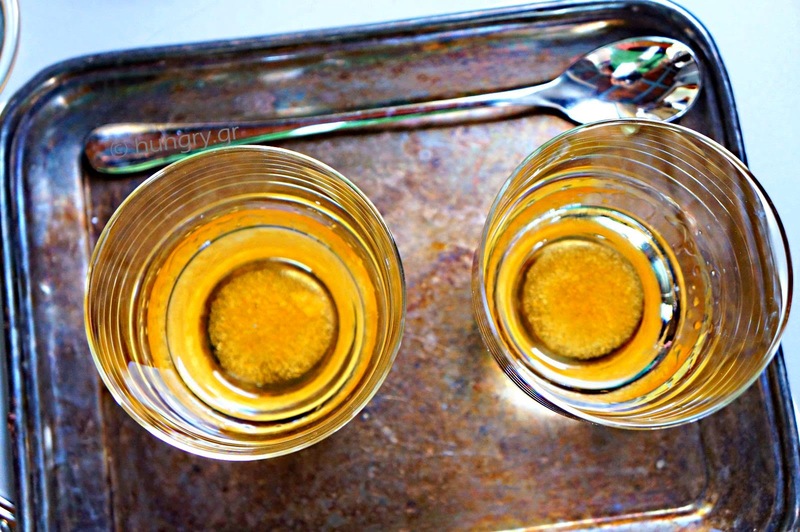 Stir well to dissolve the sugar. …and two or three tablespoons of the sour cream.